Paul and Diane Tuttle of Peoria, Illinois, never expected to make such a gruesome discovery right outside their home. 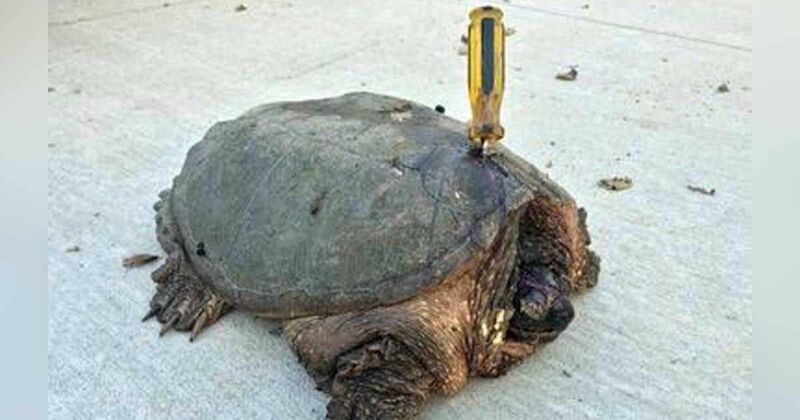 But there she was, an alligator snapping turtle, with a yellow screwdriver impaled into her shell, suffering with each slow step she took. 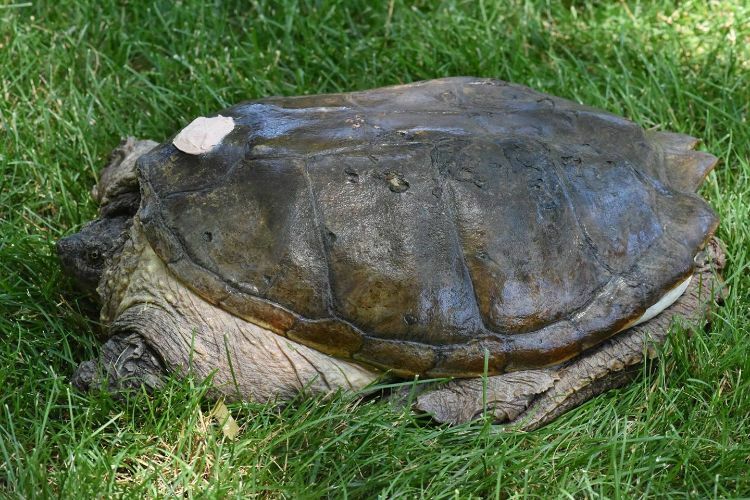 Upon closer inspection, it was clear that the turtle, named Tuttle after her compassionate rescuers, had been stabbed through her shell and body as well as in her head. She was covered in maggots and blood. In spite of her devastating injuries, Tuttle kept moving, refusing to give up her hold on life. 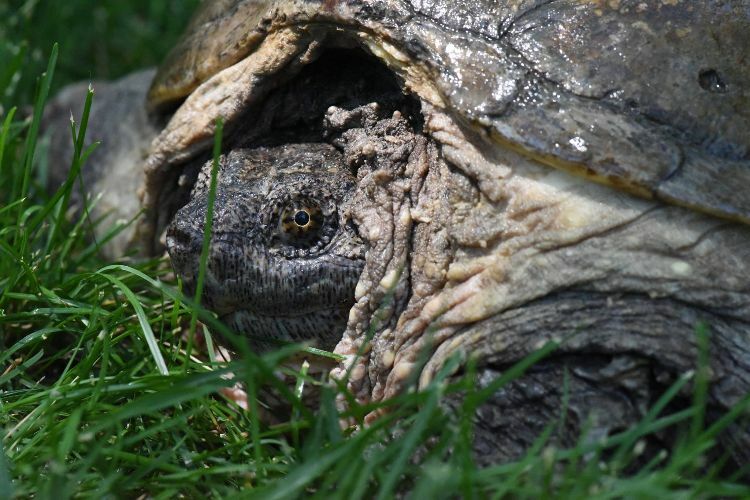 The Tuttles were fearful of removing the screwdriver and causing further injury to the turtle, so they decided to scoop her up, take her to their home, and call for help. Tuttle was transferred to the All Pets Vet Clinic for immediate medical care Upon examination, the vets determined she was blind in one eye due to her fractured skull, and her internal injuries were extensive. They removed the screwdriver, plugged the hole with fiberglass, and arranged for Tuttle to stay with Douglas Holmes, a herpetologist from the Peoria Zoo. Douglas agreed to keep Tuttle with him throughout the winter so she could recover in a safe environment. 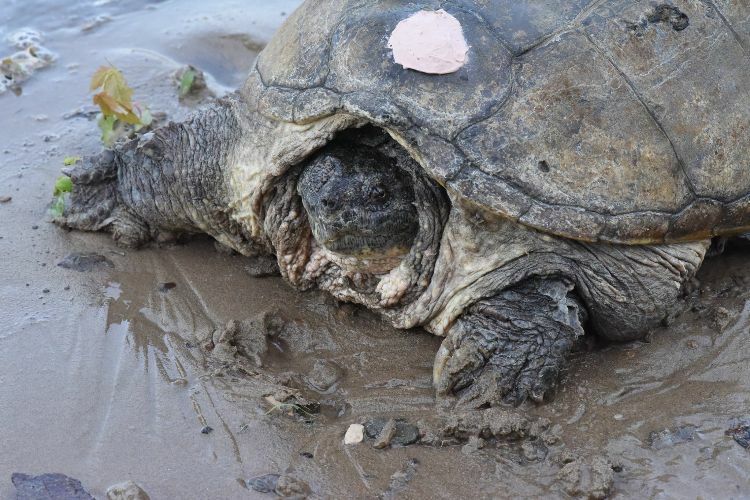 She healed so well that nine months after the Tuttles rescued her, the turtle was released into a remote marshland area. 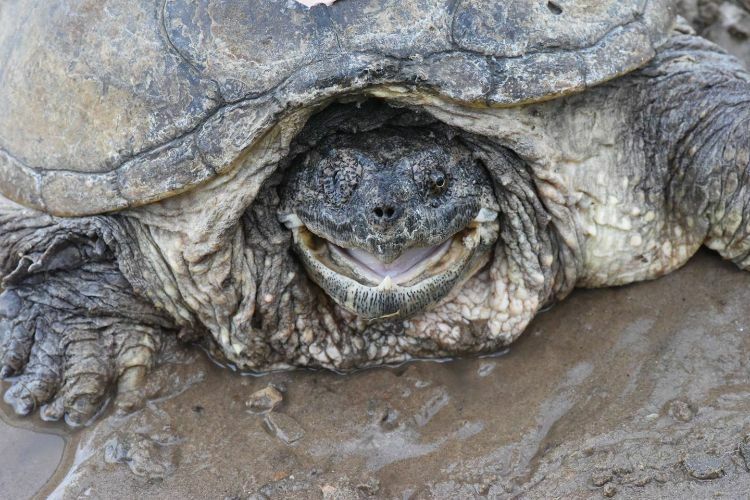 Douglas had determined that the turtle was somewhere between 65 - 75 years old. His time rehabbing Tuttle was time well spent, in Douglas' opinion. "Animals deserve that chance. It always feels good when you see an animal go free," he said. Challenges lie ahead for Tuttle. If she loses eyesight in her one good eye, she will probably die. But our belief is that Tuttle will do just fine. She's one tough old girl who despite the obstacles in her way will keep on walking on. Unfortunately, Tuttle's attacker was never found, but the good news is that many kind-hearted, caring people stepped up to assist her in her darkest hour. Share Tuttle's amazing rescue and recovery with your friends and family on Facebook.